Roulette is a fun game to play in a real casino. However, it might be even more fun to play it online. Why? Because you will have so much more variety. Land-based casinos usually offer just one kind of roulette game. But once you browse through online casinos, you will see that not only can you find European and American Roulette, but you can also play variations such as Back 2 Back- roulette, Diamond Roulette, Double Action Roulette and Double Ball Roulette. 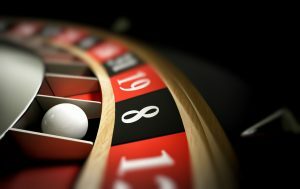 The basic rules of roulette are simple and easy to follow. You may choose to place your bet either on a single number or a range of numbers, red or black colour, and even or odd number, or whether the numbers will be high (19-36) or low (1-8). The winning number is determined by the croupier spinning the wheel first in one direction, and after spinning the ball in the opposite one. Once the ball falls into one of the numbered and coloured pockets on the wheel, it can be seen which player won the round. There are different types of bets you can place in Roulette. You can use straight/single, split , corner/square, six line/double street, trio, basket/first four or top line bet. The layout of the roulette table differs a little bit between different types of games, but the basics are always the same. For instance there are 37 pockets in the French/European Roulette, and 38 pockets in the American one. Once you find yourself interested in playing Roulette online, not only can you choose between different variations of Roulette, but you can also choose how you wish to play your game. You can play Roulette touch, in which you see the spinning wheel in front of you, and you play against computer. You can also go for live roulette game with a live croupier. This gives you an experience very similar to sitting at a Roulette table in a real casino, as you will be playing against other players, and you’ll be able to see the croupier running the table and interact with him in real time. Most online casinos offer you a ‘play for free’ or ‘play for fun’ option. If you feel you still need to revise the rules of Roulette and some free practise would do you good, this is a fantastic playing option for you. After some playing for fun, when you feel ready, it is time to take the big stage and start playing for money with a live croupier. Even when depositing and placing real money bets, playing Roulette should always be about having fun. Roulette is based on luck, and the next winning number cannot be foreseen by you, other players, or the croupier. It is important to know when it is time to play, and when it is time to take a break. If playing Roulette is becoming unpleasant to you, or you have only been losing on many rounds in a row and it is making you frustrated, it is time to take a break, and try again later, hopefully with better luck. Canadacasino.reviews want you to have the best possible online Roulette experience, and we suggest that you take some time with choosing the best online casino for you. Good software that displays the graphics of the game flawlessly is important, just as having access to 24/7 customer support. When we are talking about playing Roulette online, and getting a good chance bringing home some winnings as well, the following factors can help you choose a good casino from the thousands that operate online. At Canadacasino.reviews we advise you try out lots of the different variations of Roulette you can find online. This way you can find the type of game that you like the most, and once you feel good and confident, your changes at winning improve as well. If Spanish roulette is not your cup of tea, why not give Fast Roulette, or Prime Time Roulette a go? Roulette is a classic casino game, and now you have the chance to access it any time of the day, with your phone, your tablet or your pc. We wish you the best of luck!